Hello and welcome to the Serie A transfer news and rumours of the day! We are still a few months away from the next transfer window but, there are still some interesting speculations to read. Let's take a look at today's hottest rumours surrounding the Italian league! Juventus are joining the race for PSG's Kylian Mbappe, according to a report. 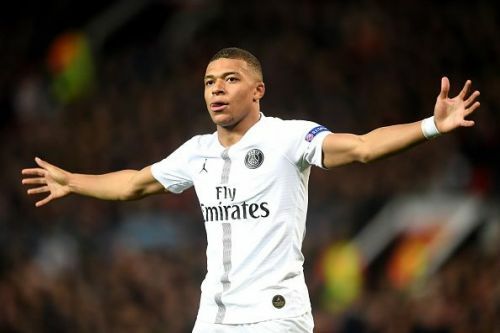 The report states that the Italian giant's sporting director Fabio Paratici has told the club fans that he “will do everything possible to sign Mbappe". The French starlet has been a phenomenon in world football. At just 20 years old, he has scoring goals for fun in Ligue 1 and played a major role in French's 2018 World Cup triumph. Real Madrid have repeatedly stated their interest in the player. However, Juventus could be their biggest nemesis in the Mbappe transfer saga as the Italian giant had broken some records with the purchase of Gonzalo Higuain, succeeded with the transfer of €100 million Cristiano Ronaldo, and an eye-watering £400,000 a week salary for Aaron Ramsey. Real Madrid are making a huge offer for AS Roma sensation Zaniolo, according to a report from Italy. The report also claims that the Spanish outfit have watched the 19 years old in the Champions League. Zaniolo has been a hit for Roma this season. The starlet has scored a combined 5 goals plus 2 assists in Champions League and Serie A. Roma are willing to reject all offers for their most-prized youngster as Zaniolo is very important for the club's future growth. However, the Italian giant's faith might tremble if they fail to clinch Champions League spot and Madrid willing to offer more than €60 million at the same time. Lazio are seriously considering Milan's prodigy Patrick Cutrone, according to a report from Italy. At just 21 years old, the Italian striker has shown some promising signs for Gennaro Gattuso this season. The starlet has scored 4 goals in Europa and has found the net 3 more times in the domestic league. However, the youngster is now becoming a mere second fiddle following the arrival of Krzysztof Piatek. The Polish striker has been a hit for Milan; hence, Cutrone should look elsewhere if he wants to maintain regular game time. Lazio now need an alternative forward to ease the burden of 29-year-old Ciro Immobile.